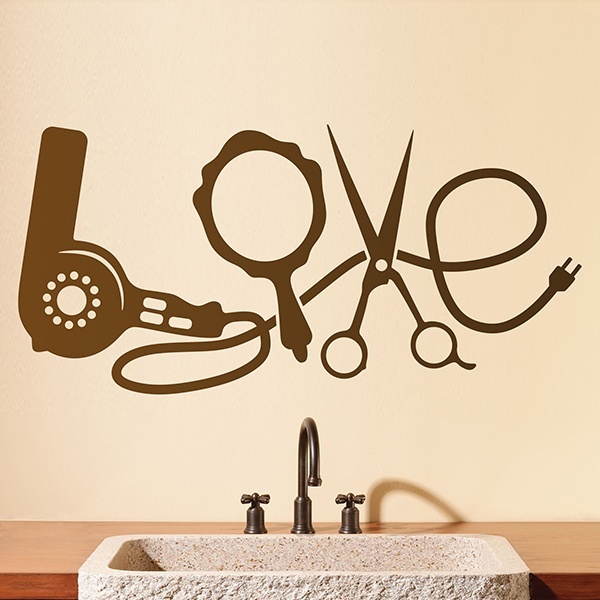 hairdressing wall sticker hairdressing articles love. 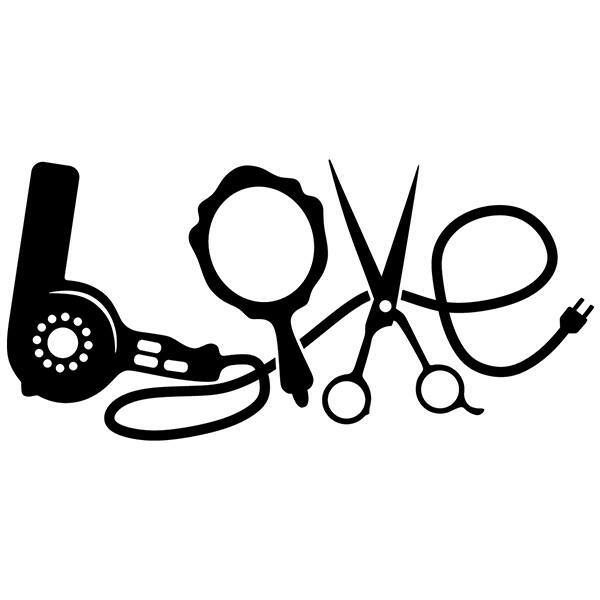 Different hairdressing articles form the word in English love. Composition with silhouettes of a dryer, a hand mirror and a pair of scissors. Simple adhesive that will decorate your establishment or also for the wc's House. Size: 69 x 9 cm.